I’m still here! The last month has been crazy. I am currently frantically finishing Christmas gifts (every year, same thing). There will be pictures of those in the next few weeks. In the meantime, Swan and I are putting the finishing touches on the QAL patterns. We received some very exciting news. American Made Brands is going to sponsor the QAL! For those of you who don’t know, AMB is a US based (Seattle, coincidentally) fabric manufacturer who makes the most beautiful solid fabrics that I’ve ever worked with. For the last 2 years, any time solids come up, I mention (gush about) AMB. I have used them in a few quilts: Star Gazing and Meadow Mist Mystery, plus a handful of UFOs. 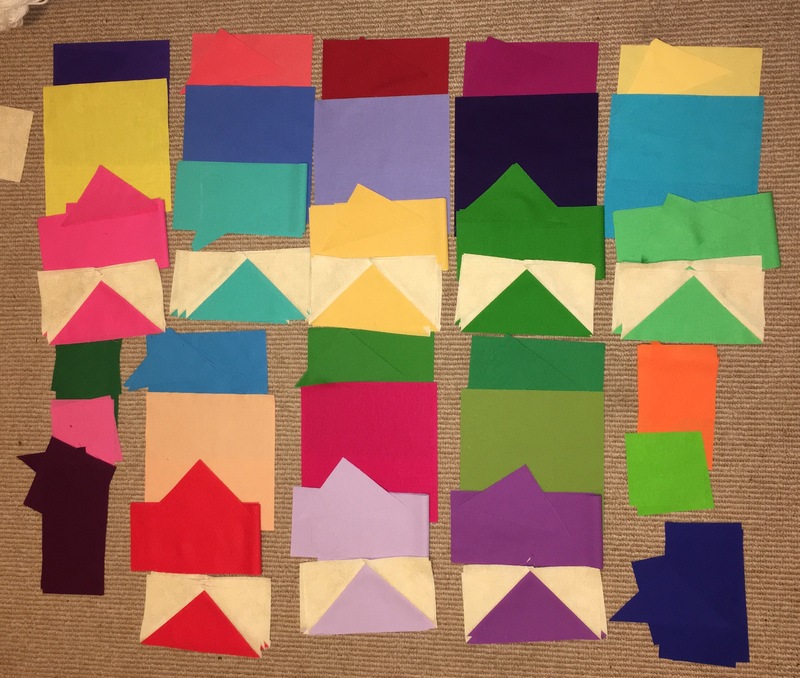 The fabrics have been requested and are on their way! Here is a picture of the coloring in progress on my television. Sorry for the lighting: dark room + bright tv = poor lighting for a picture. The QAL kicks off on January 2. There is still plenty of time to sign up via Swan Amity’s website. It is only $24 for the entire year. 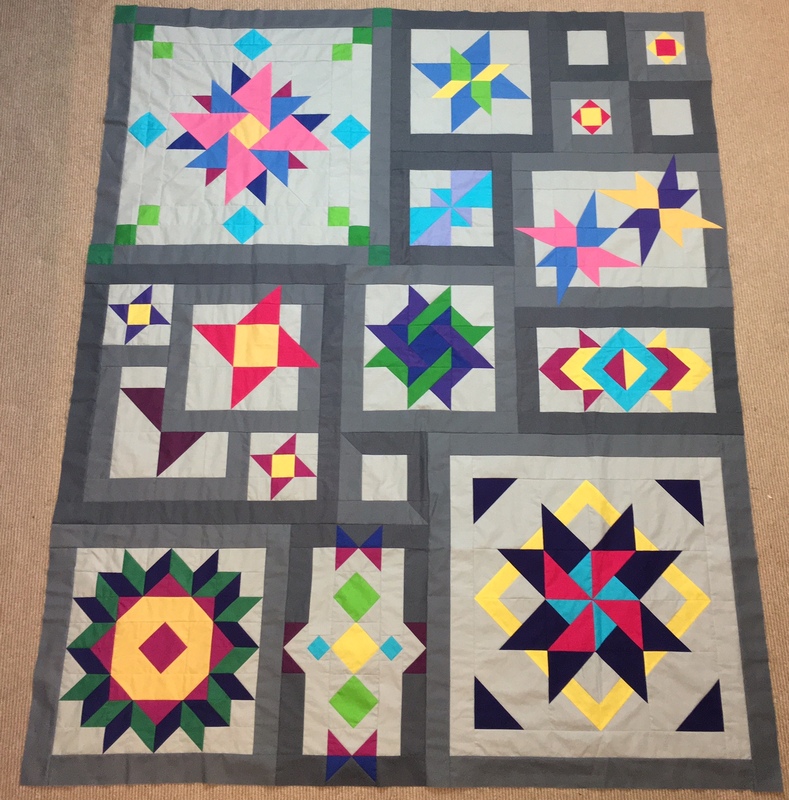 There will be a Flickr area to share your quilt progress, and AMB will be providing prizes. We don’t know what they will be just yet, but tentatively we’re looking at quarterly prizes.